The Shelley Family has been in the soft drink business since 1893, starting out in the outback township of Broken Hill before moving to Marrickville in 1927. 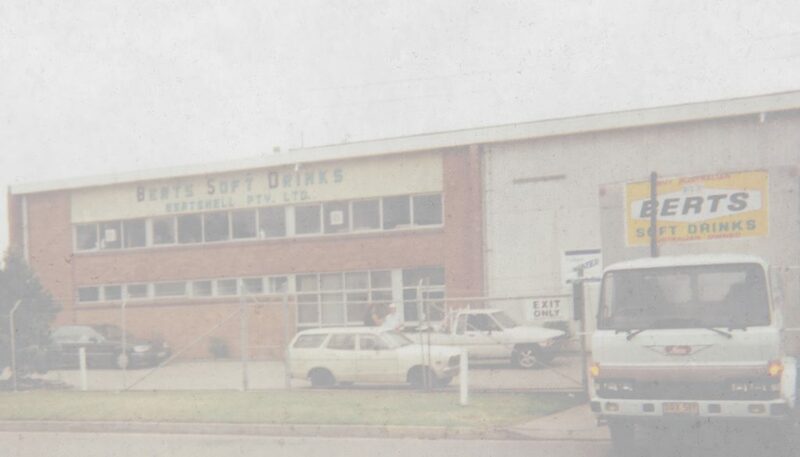 In 1968 they moved to Taren Point Sydney where Berts Soft Drinks was established. Berts Soft Drinks are still following some of the traditional recipes in our soft drinks dating back to 1893. The Berts range includes Traditional soft drinks (Orange, Lemonade, Creaming soda, Pineapple and Snowette), Old Tavern Ginger Beer, Lite drinks (45% less sugar), Club Range (Lemon Lime and Bitters, Tonic Water, Soda Water and Bitter Lemon), Exotic Range (Blood Orange, Pink Grapefuit, Apple & Elderflower, Golden Mango), Cordials, Still and Sparkling Mineral Water. Berts Soft Drinks is one of a few independent soft drink manufactures remaining in Sydney. Over the years, Berts Soft Drinks has diversified its business into contract packing. Our production facilities based in Taren Point Sydney are purpose designed and built for soft drink manufacturing. The Company being a wholly owned and operated Australian family business provides a commodity that is value for money. Berts Soft Drinks is a member of ABCL (Australian Beverages Council Ltd) as well as the ABWI (Australian Bottled Water Institute) and is certified by HACCP. Berts Soft Drinks complies with all Australian and New Zealand Food Authority guide lines regulated by the Government.